If you use Apple devices, AirDrop makes file transfer super-simple Share Files Easily Between Computers With AirDrop & Two Similar Applications [Mac] Share Files Easily Between Computers With AirDrop & Two Similar Applications [Mac] How often have you sent an email to yourself, simply to move a picture or document between computers? Often, the only obvious alternative is clear overkill, like setting up a temporary FTP server on your... Read More . Unfortunately, this is an Apple-only technology; you can’t share files with AirDrop between Windows and Mac. Don’t worry though, there are several ways that are as easy. Justin previously covered network-aided file sharing between Windows and Mac Easily Share Files Between Windows 7, 8 and Mac OS X Easily Share Files Between Windows 7, 8 and Mac OS X Cross platform file sharing sounds complicated, but it doesn't have to be. 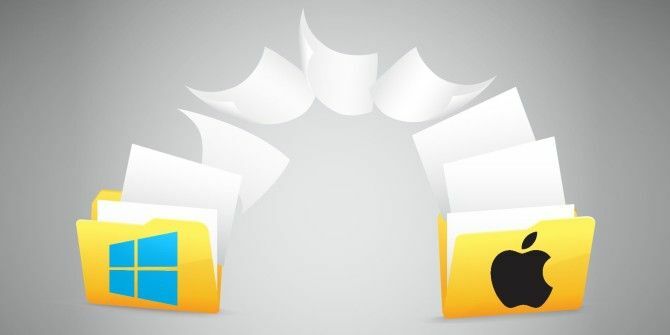 Here's how to get a PC and and a Mac to share files with each other. Read More , but that can be a bit complicated. Like with most things, there’s an app which makes everything much simpler. And in this case, several apps! One way is to use cloud storage services like Dropbox. For that solution you need an active Internet connection, enough storage space on your online drive, and sufficient upload/download speeds. But honestly, transferring a file directly over Wi-Fi is far better and you can use your cloud storage more creatively 10 Ways to Use Your Cloud Storage That You May Not Have Thought Of 10 Ways to Use Your Cloud Storage That You May Not Have Thought Of When we talk about cloud storage, it usually revolves around backup and collaboration. So, let’s try to find some more interesting ways to fill up all the space they give us for free. Read More . It should be dead easy to use. It should work over a wireless connection, regardless of an active Internet connection. It should not require any hardware, such as cables, to connect the devices. It should allow you to transfer large files. With that in mind, we went about testing a large number of tools, such as Feem, Nitroshare, Filedrop, Send Anywhere, and more. We narrowed it down to three apps we would use ourselves. The new kid on the block is also the one we liked the most. Infinit manages to strike the right balance between simplicity and features. Download it on both your Mac and Windows computers, start it up, sign up for an account or log in with Facebook, and you’re good to go. Infinit will automatically detect all computers it is installed on, which are connected to the same Wi-Fi network. It sits quietly in the system tray. To use it, click the Send arrow, drag-and-drop the file, and choose which device you want to send it to. Choose to Accept or Snooze the incoming file on the recipient device. You can also add a message, or send it as a downloadable file to a friend. And it’s quite cool that while normally browsing through your Windows Explorer, you can also right-click on any file to send it—yet another cool shortcut in the context menu 10 Best Shortcuts to Add to Your Right-Click Menu 10 Best Shortcuts to Add to Your Right-Click Menu The context menu that pops up whenever you perform a right-click can help you become more productive. With the right tool, customizing the shortcuts within it is a breeze. Read More . FileDrop is the no-fuss, no-frills solution to transferring files between different computers. Download it on your Mac and Windows computers, start it up on both devices, and you’ll see both devices in the app, as long as they are connected to the same wireless network. From there, it’s as simple as dragging and dropping your files to share them. On the recipient computer, choose to accept or reject. There’s nothing more to FileDrop. It does one thing and it does it well. 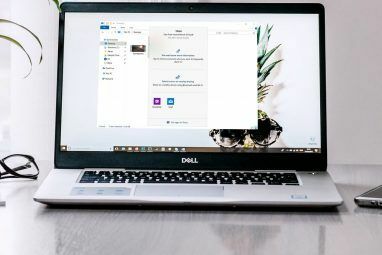 If you are on an office network or a coffee shop with several connected Windows and Mac devices, you don’t want to share the file separately with each one. That’s time-consuming and tedious. Plus, you want to be secure about who you are sharing the file with—some people on the network might not be the right recipients for what you are sending. Send Anywhere gives you more control over the file or folder you share. It generates a key code for each file, which can be shared manually or automatically by “pushing” the key. You can also specify a 24-hour time limit for the file you are sharing, so that the key expires after that period. It’s perfect if you’re working with a small team in the same office. In our opinion, one of these three apps will be perfect for you. But these aren’t the only programs that offer such features. In the past, we have liked Dutko, which also lets you share clipboards and text Dukto Offers Cross-Platform, Drag-And-Drop File Sharing Dukto Offers Cross-Platform, Drag-And-Drop File Sharing Drag and drop a file; send it to the desktop of another computer on your network. Dukto makes local file sharing simple, regardless of operating system. Read More . There is nothing particularly wrong with it, it’s just that Infinit and FileDrop seem like better options for file sharing. Two of the older popular programs, Nitroshare and Feem, seem a bit outdated now. Nitroshare is still good Nitroshare: Easily Share Files On Your Network Between Multiple Operating Systems Nitroshare: Easily Share Files On Your Network Between Multiple Operating Systems It's not hard to set up home networking, including file sharing, in Windows and OS X Lion includes a quick file-sharing feature between Macs. If you want to quickly share a file between computers running... Read More , but it lacks some of the features, design prowess, and the simplicity of the aforementioned programs. Feem used to be great Transfer Files Quickly Across Your Devices Using Feem Transfer Files Quickly Across Your Devices Using Feem Android and Apple users enjoy the benefit of hassle-free file transfers. Unfortunately, the available apps have limited cross-platform functionality. Try Feem for Android, iOS, OS X, Linux, Mac and Windows. Read More , but it keeps annoying you with ads to upgrade and has limited functionality in the free version. 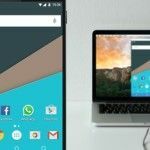 There is also the ever-popular Pushbullet, but we would consider that to be an app for quickly sharing information or small files Pushbullet Puts Your Android And PC On The Same Wavelength Pushbullet Puts Your Android And PC On The Same Wavelength Find out how you can keep your Android perfectly synced with your PC -- push your phone's notifications to your desktop, share files, and much more! Read More . Its file size limits are low and its many non-file-sharing features might end up unnecessarily confusing or overwhelming you. These wonderful apps are yet another example of going cable-free. They are also much faster than transferring files via a pen drive, since you are skipping one entire intermediary copy-paste cycle. 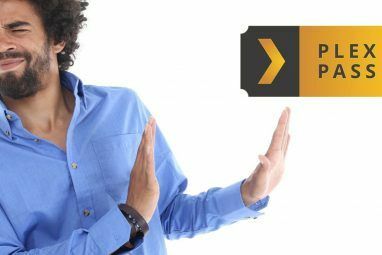 The pen drive has lost its purpose of backup storage to cloud services, and now it has lost its secondary purpose of being a tool for quick transfers. Are pen drives The Best Portable Apps That Require No Installation The Best Portable Apps That Require No Installation Portable apps don't need installation. You can run them from even a flash drive. Here are the best portable apps around. Read More becoming obsolete? Just try infinit to transfer from PC to iPhone and vice versa, and it doesn't work as expected. It seems infinit still require active internet connection. I try by removing default gateway for my local connection to ensure only local connection is allowed. Surprising, no notification on receiver device, no transfer progress on sender device. After restoring default gateway, it works, but slower than it's supposed to be. Sorry to say, but I really doubt the no. 2 in test requirement. Please consider to review your article again. Have you come across/evaluated Dukto? I've been using it for months between my iMac and my wife's Windows Vista (don't say it!!) laptop and it is deadly simple, quick and works every time. Yup, we've even written about Dukto in detail and it's linked in this article. I just prefer the other solutions mentioned here. Thanks Shengdong, please link back to us when you share it.